We went to Newport Beach to spend the afternoon with Grandma Teresa. It was a nice, hot day… great weather for the beach. Tuggy spent some time playing with Sophie in the sand and some time flying a kite with his pops. 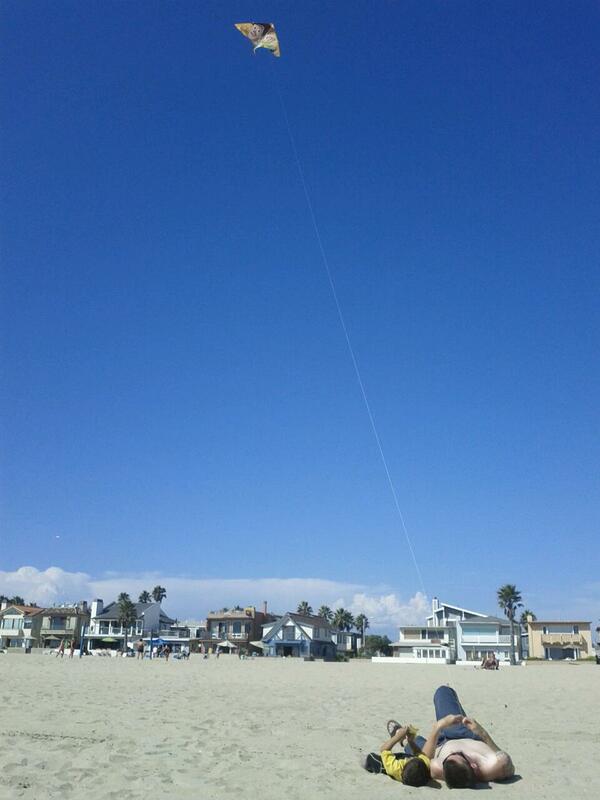 I saw them from a distance laying down in the sand, to get a good view of the kite. It was such an adorable moment, that I had to get a picture.